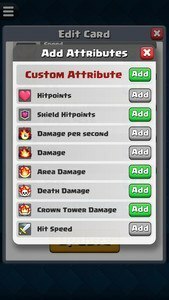 Card Creator (fan app for Clash Royale) let you create you own Clash Royale cards. 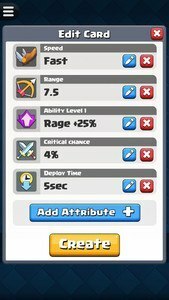 It unleash your creative potential and turn your creative, funniest and craziest ideas into the cards in Clash Royale. With this Card Creator, you can create your own Clash Royale card within a minute. 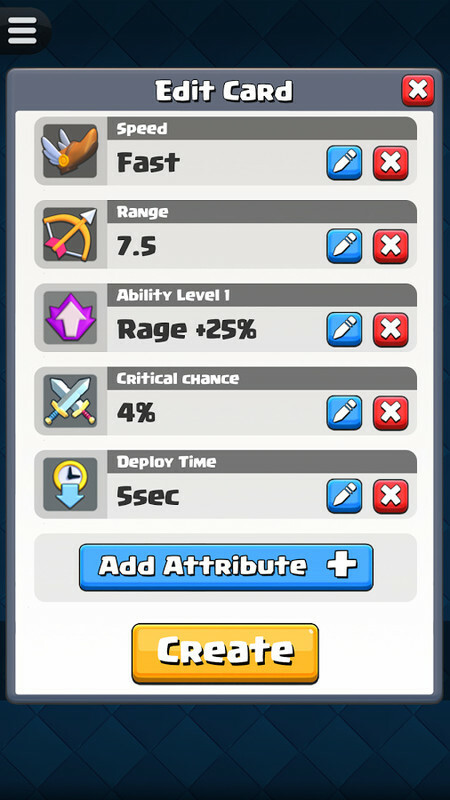 The card created with this tool is looks as nice as the cards in Clash Royale game. 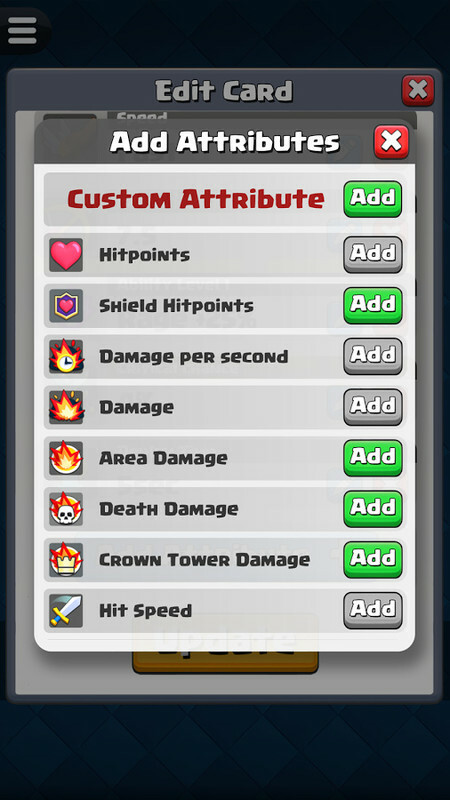 It also allows you to create custom card attributes with a set of predefined attribute icons. 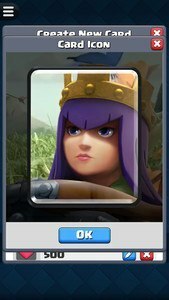 You can also save your created cards in the built-in "Card Library" and open the card to review or edit at anytime. You can also export your cards as PNG image to save in sdcard or share it with you friends with just one click. 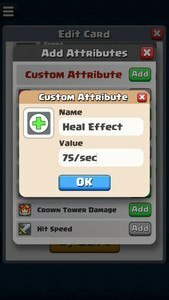 Another even more important is that such a powerful Clash Royale helper tool is completely free of charge!! What funny, cute, crazy or outrageous cards you like to create? Card Creator for CR will get you started on the road to creativity. What are you waiting for? 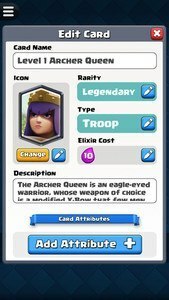 Let's create your first Clash Royale card now! BigFans Studio makes apps for life. 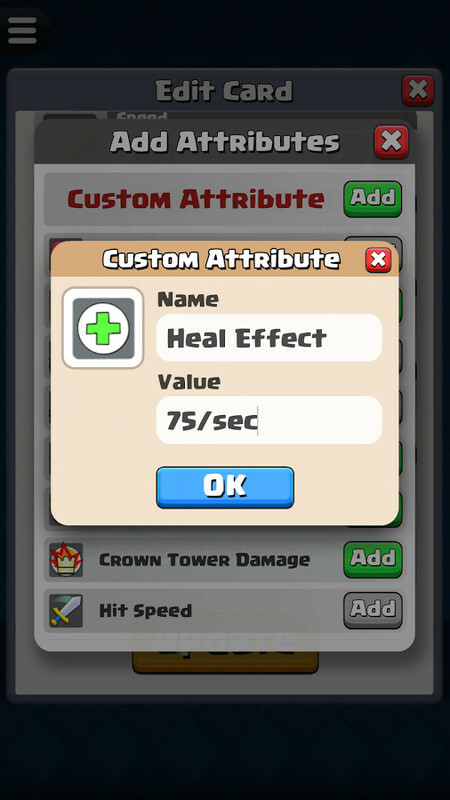 We are big fans of Clash Royale and we only create useful helper apps for the games that we love. We hope you love them as much as we love making them. If you have any comments, suggestions or questions, please feel free to contact us at big.fans.studio@gmail.com. Thank you! !